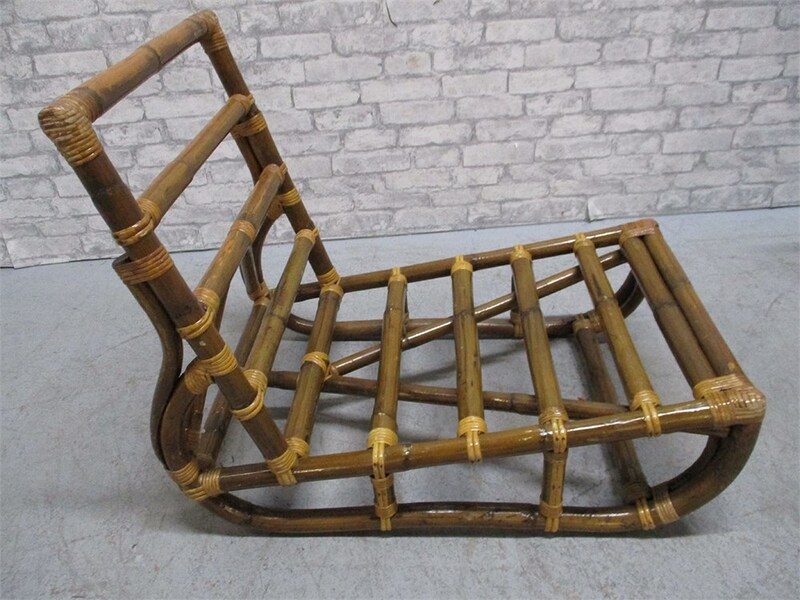 This is the perfect way to decorate your sun room, or just add some tropical warmth to your space! 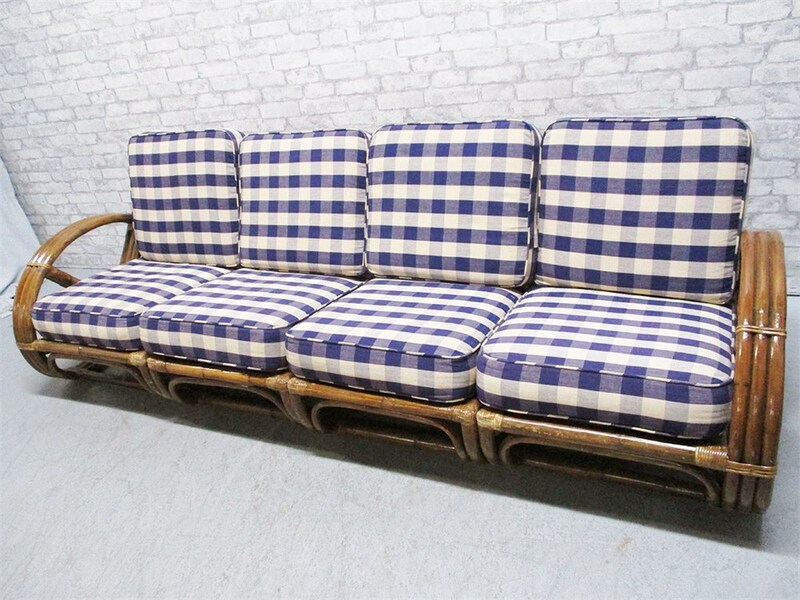 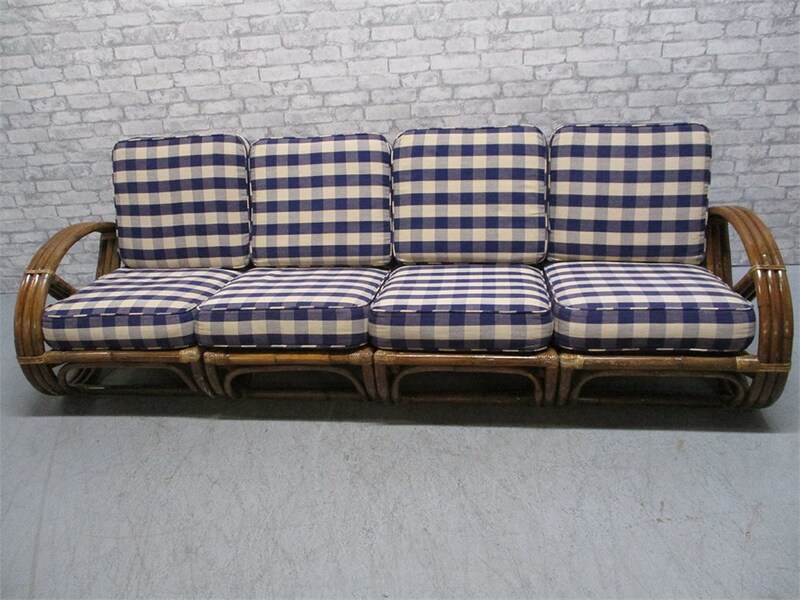 This rattan sectional sofa is in 4 sections: the two ends measure 24.5" wide; the two middle sections measure 20.5" wide. 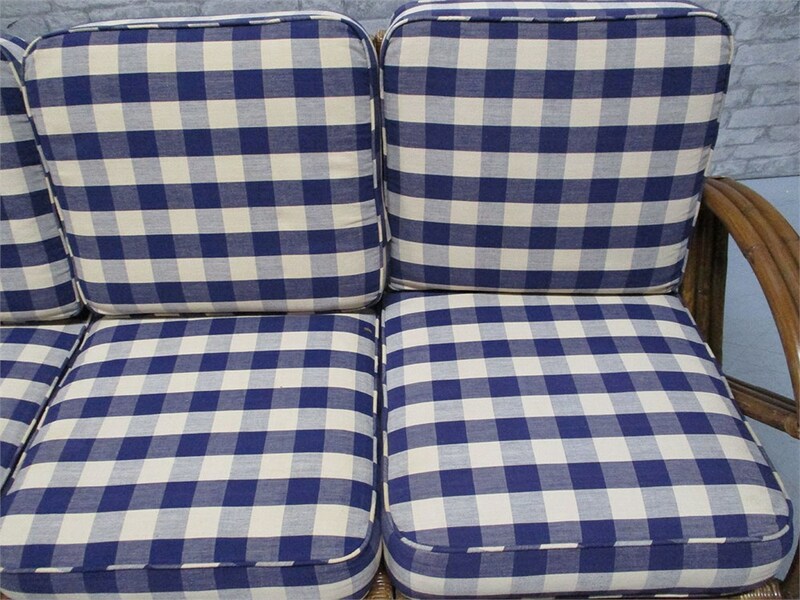 The seat height without cushions is 11"; with these substantial cushions, the seat height is 17". 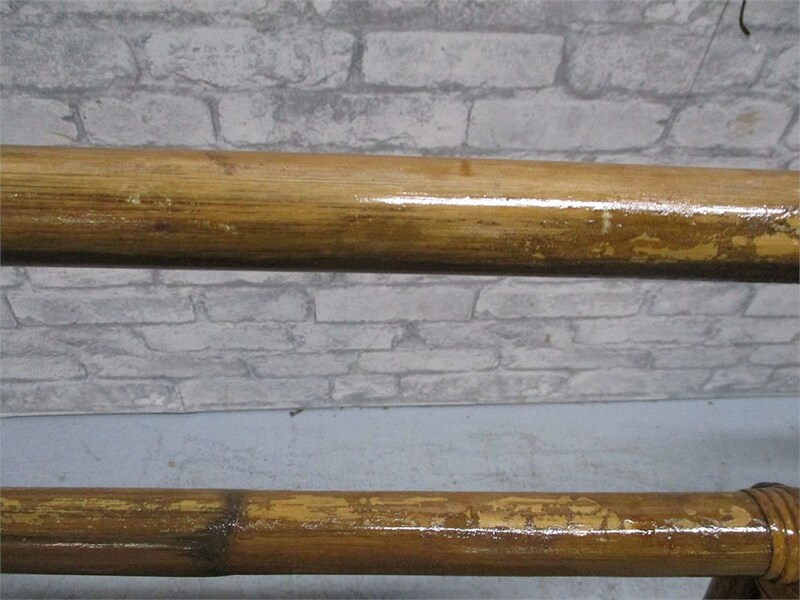 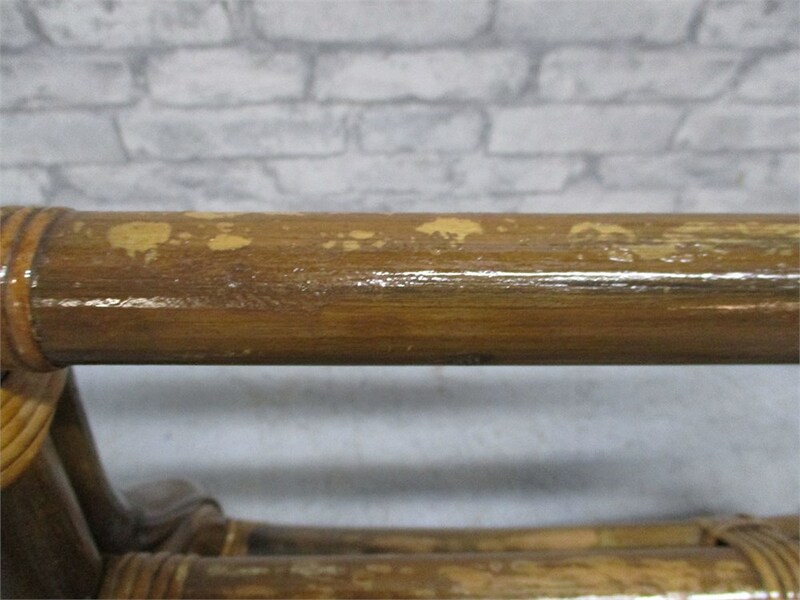 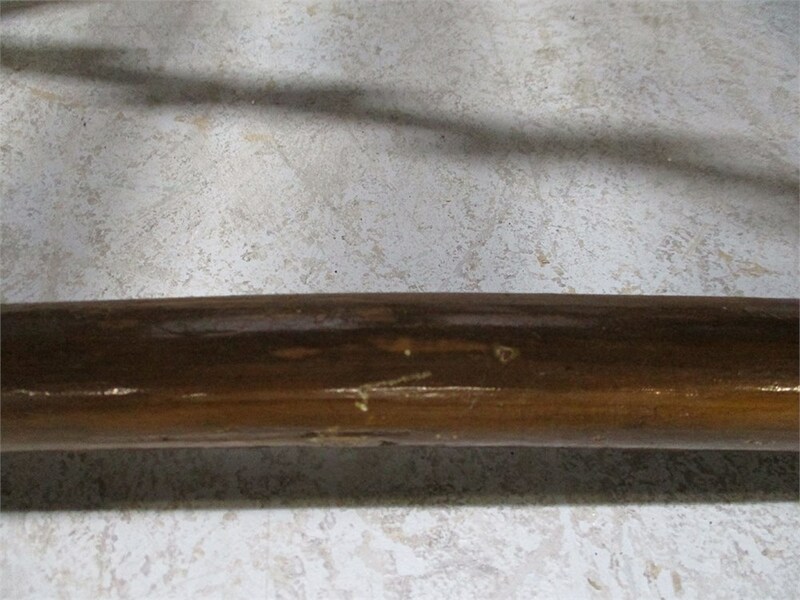 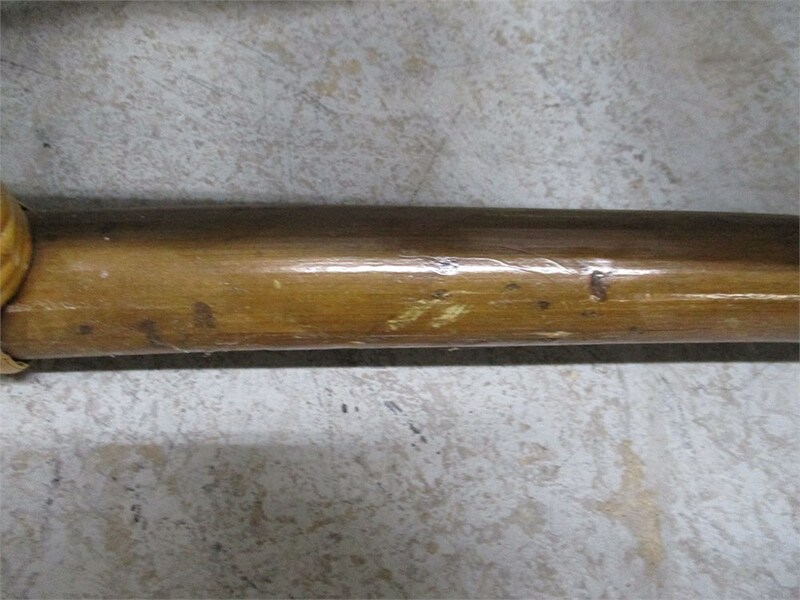 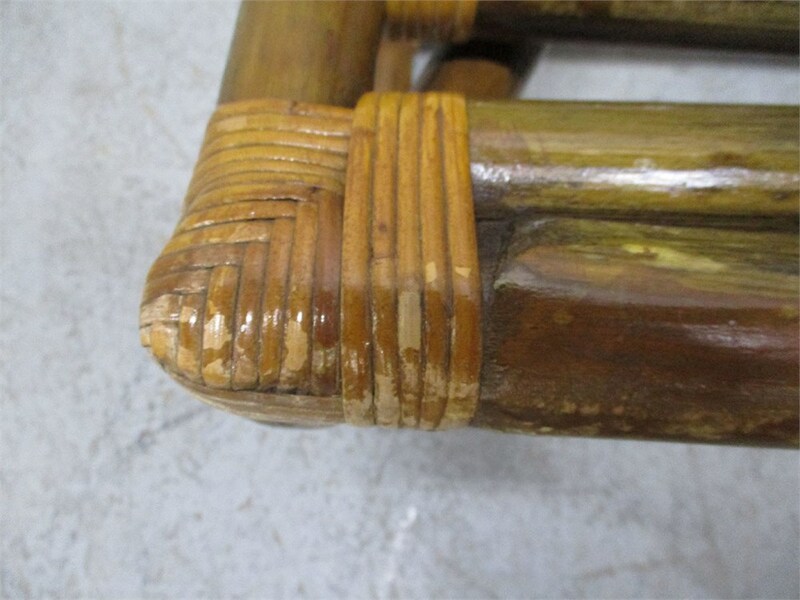 This shows some wear appropriate for age and use, but is structurally sound. 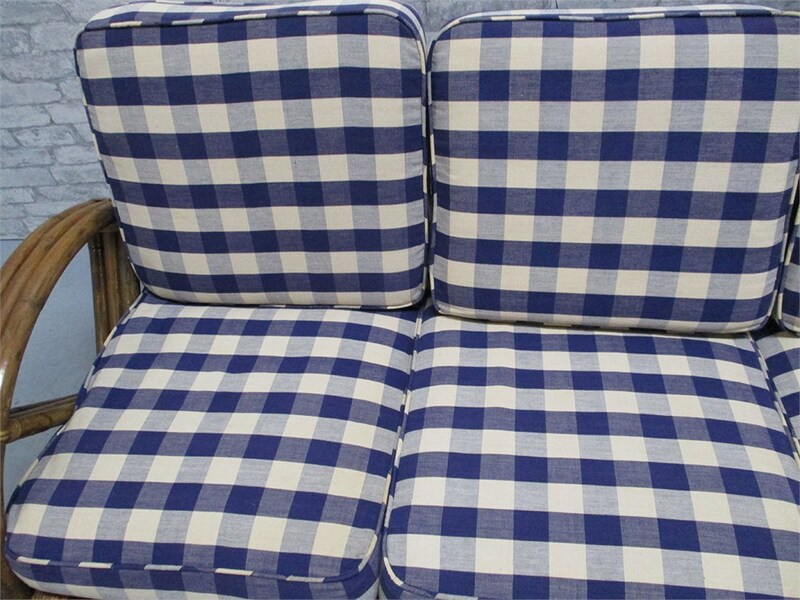 The cushions are in very good condition. 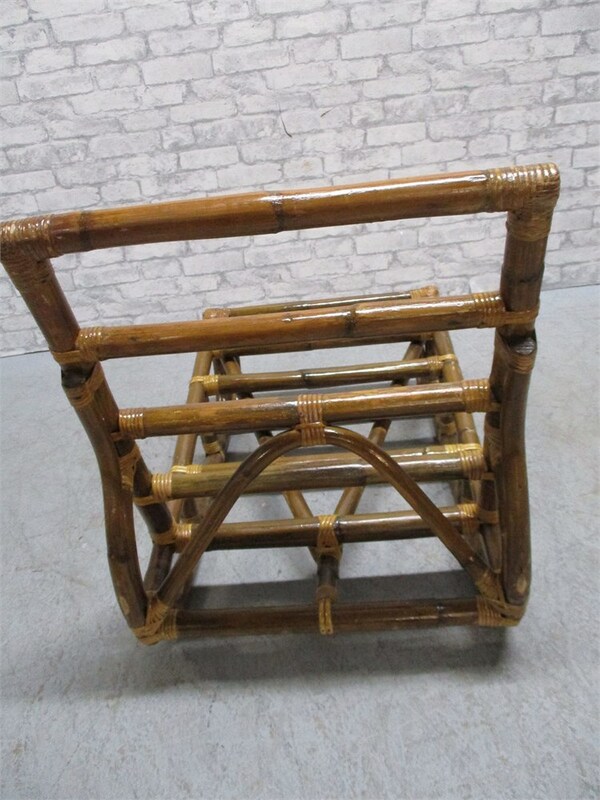 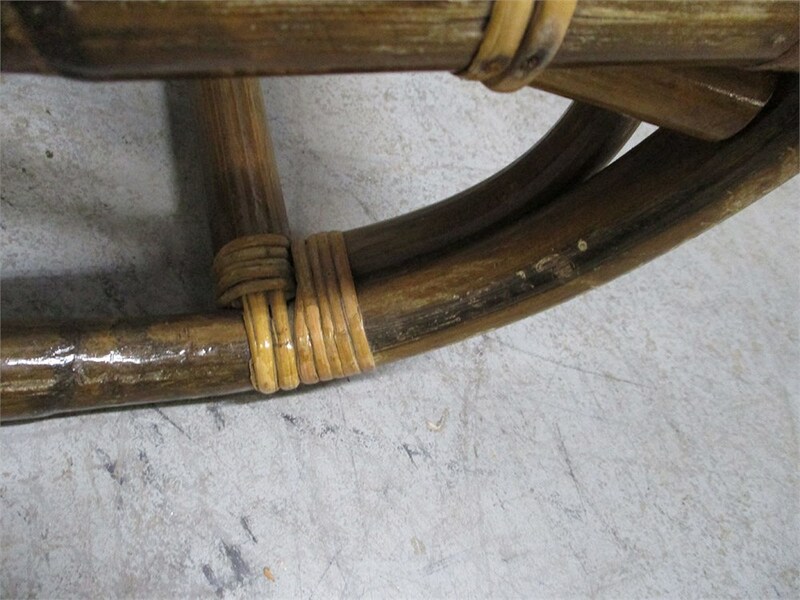 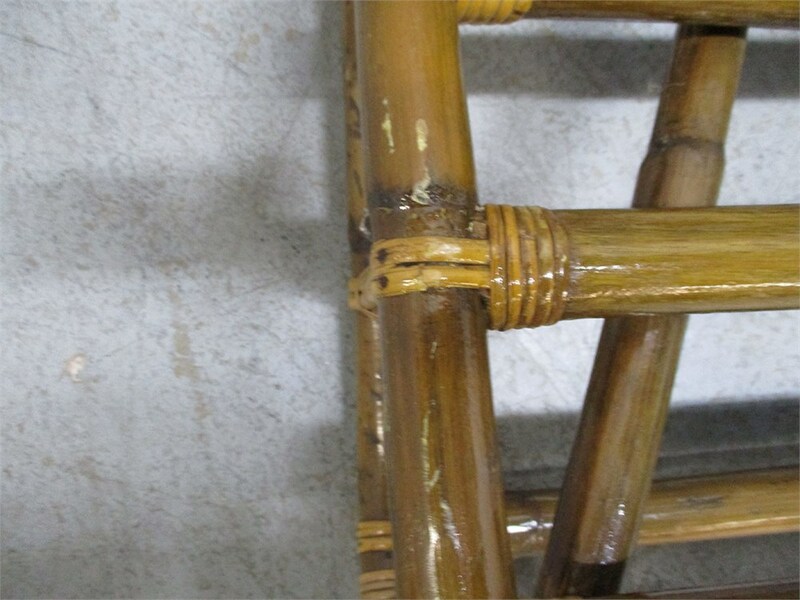 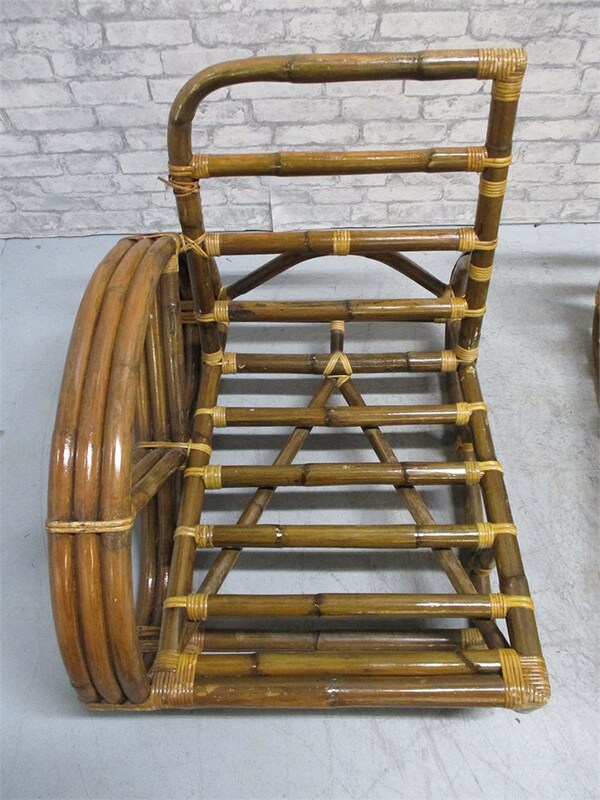 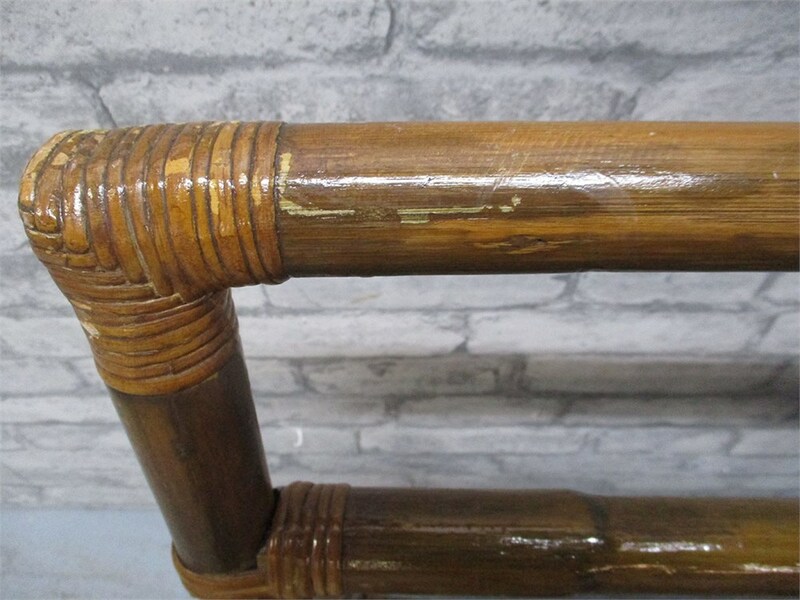 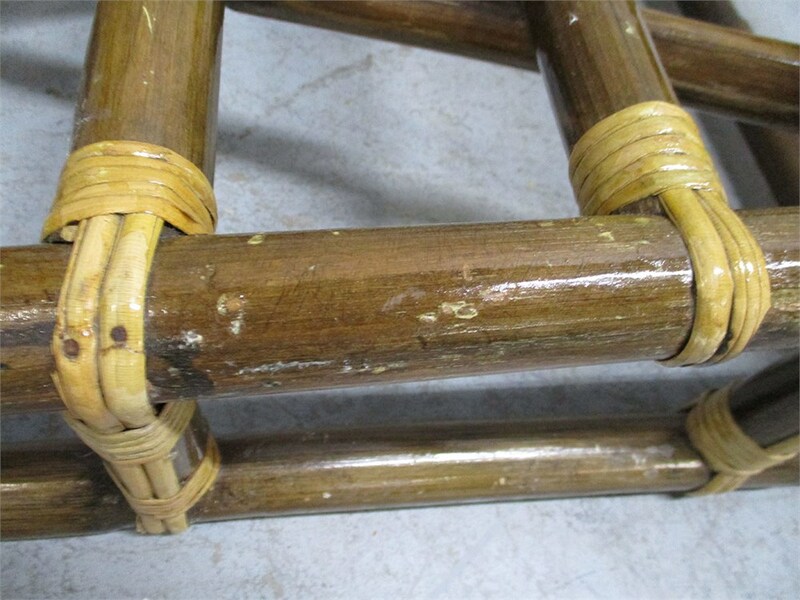 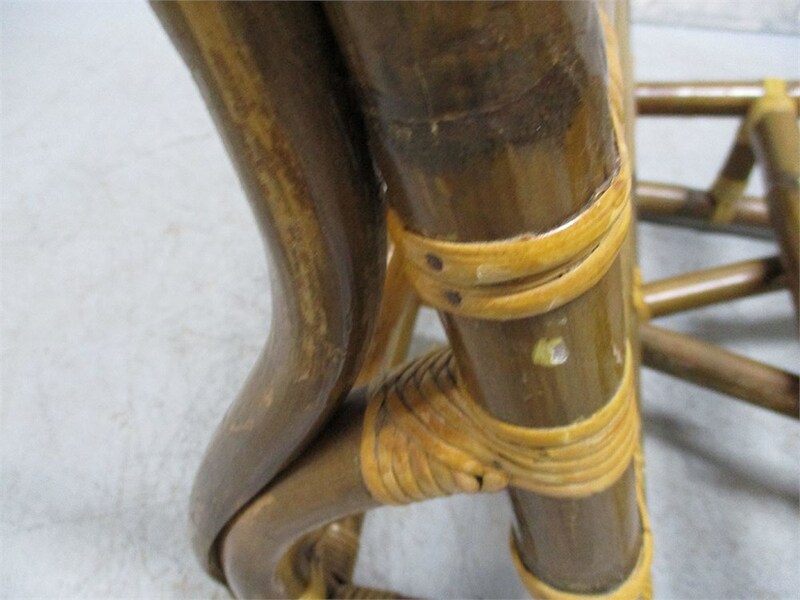 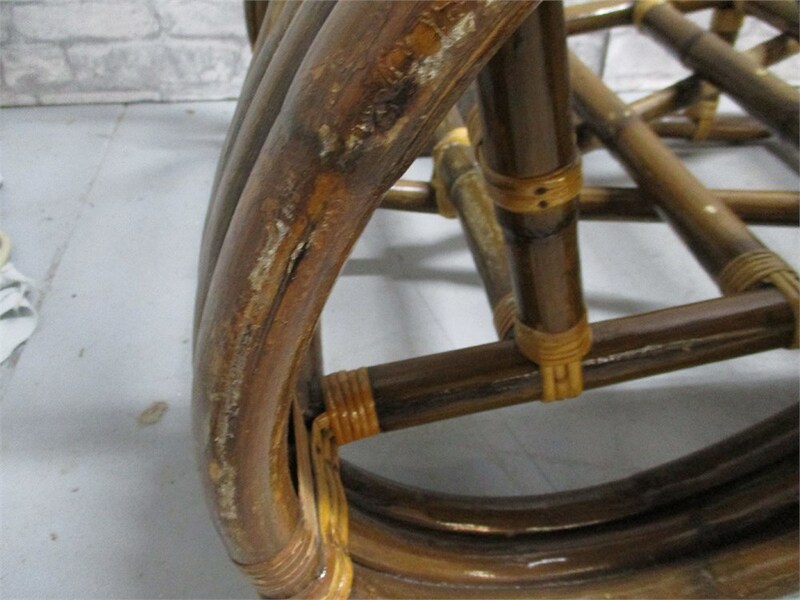 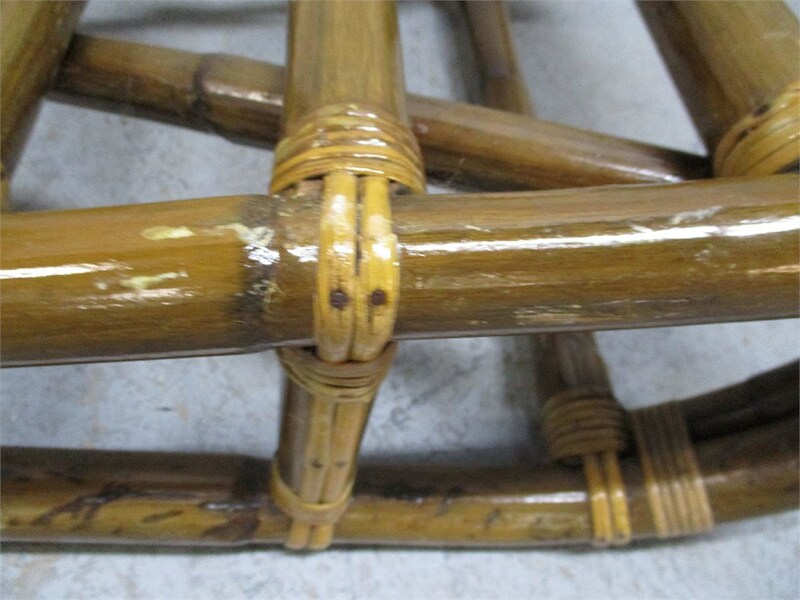 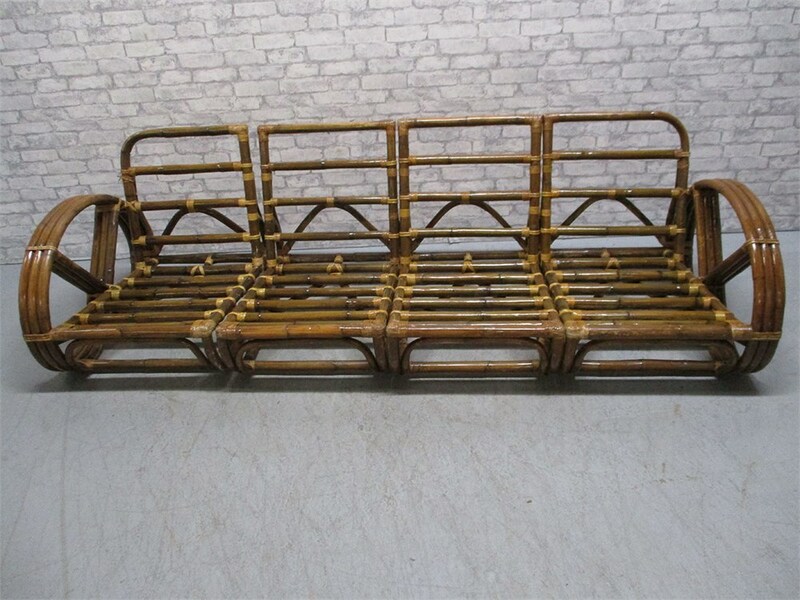 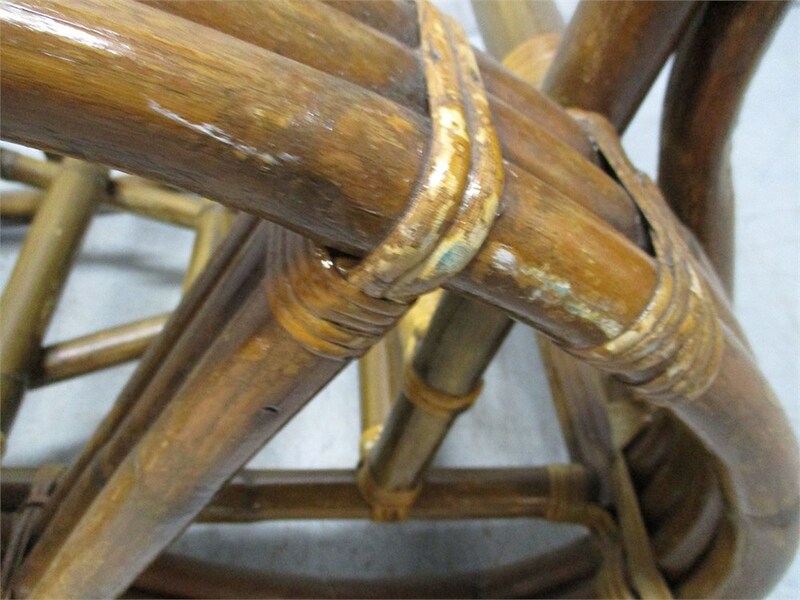 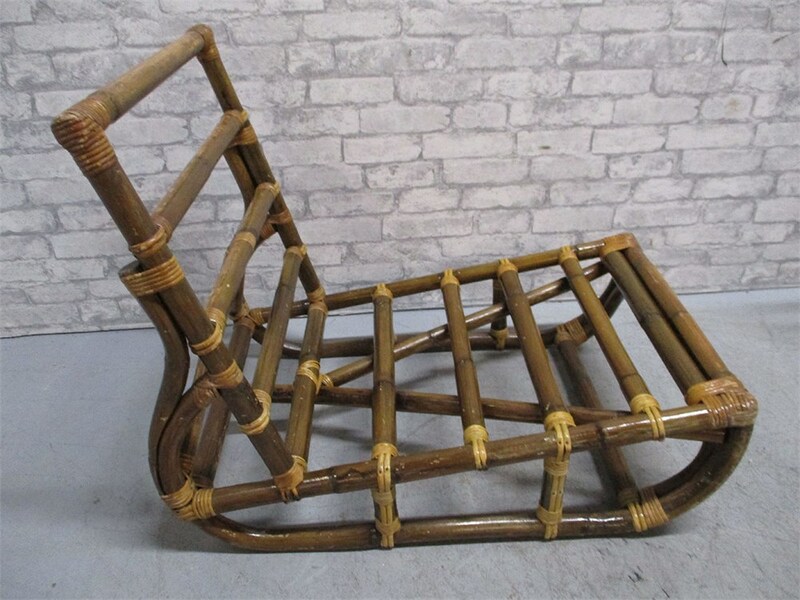 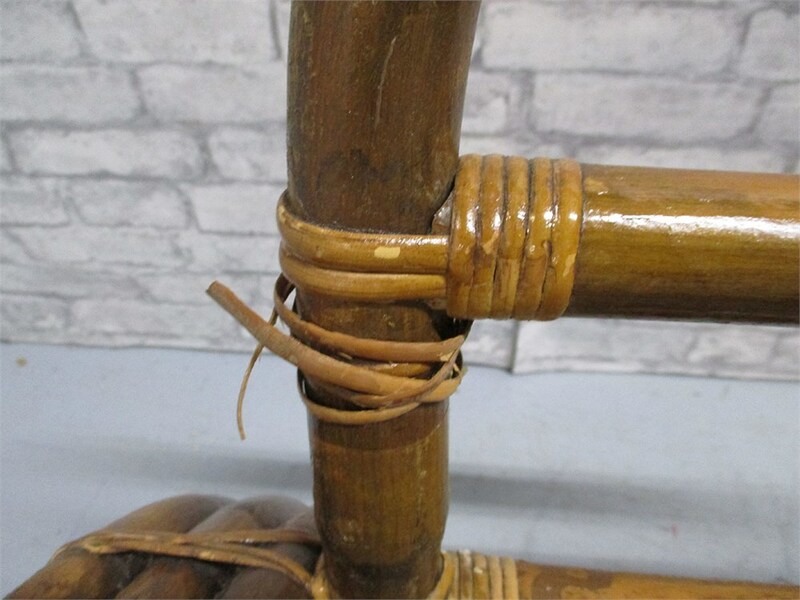 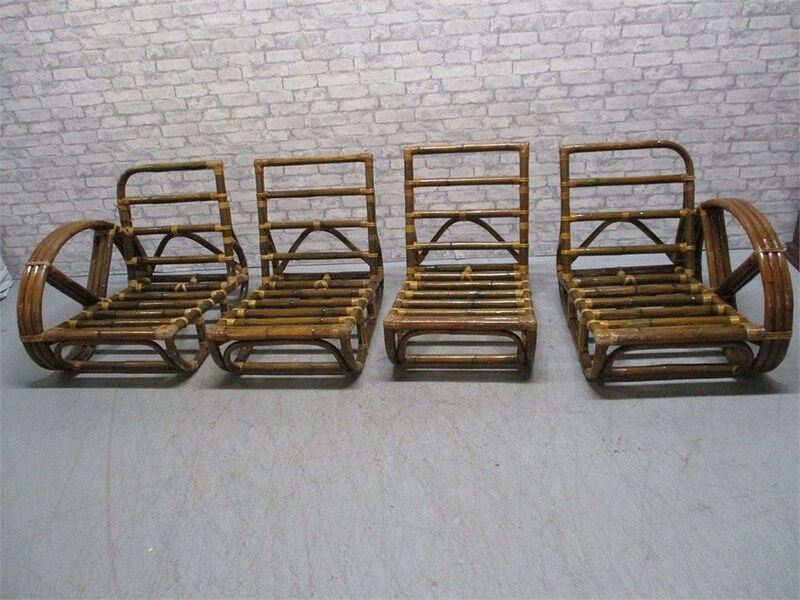 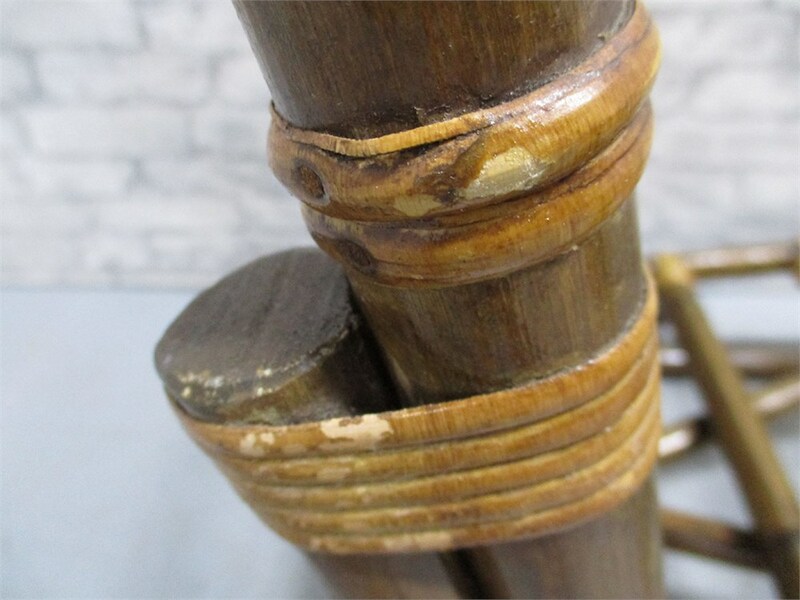 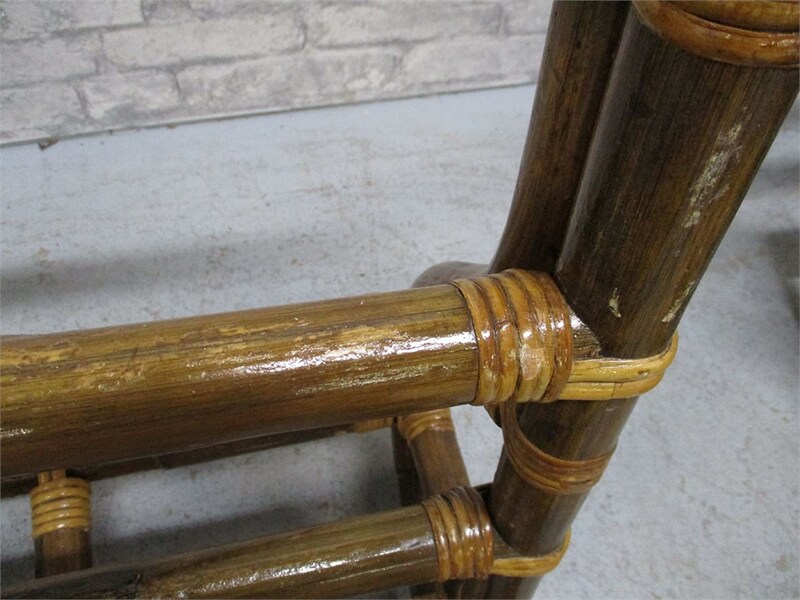 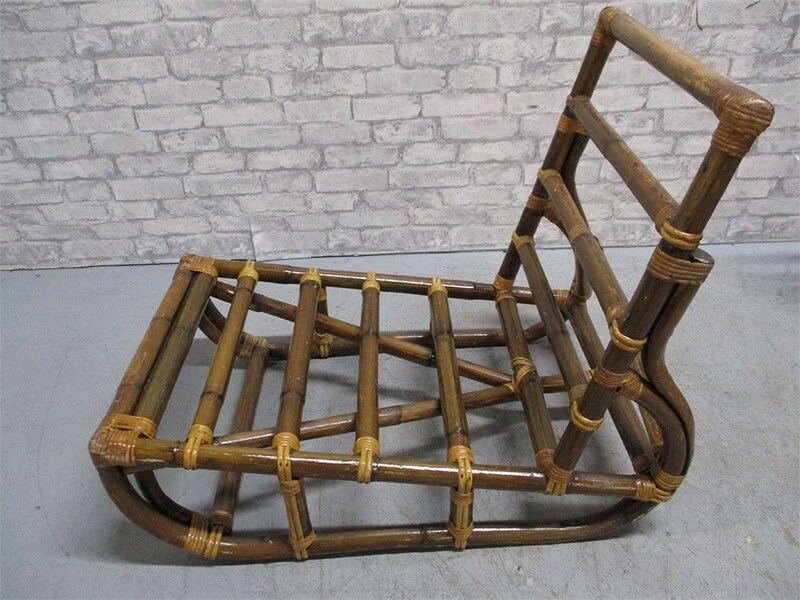 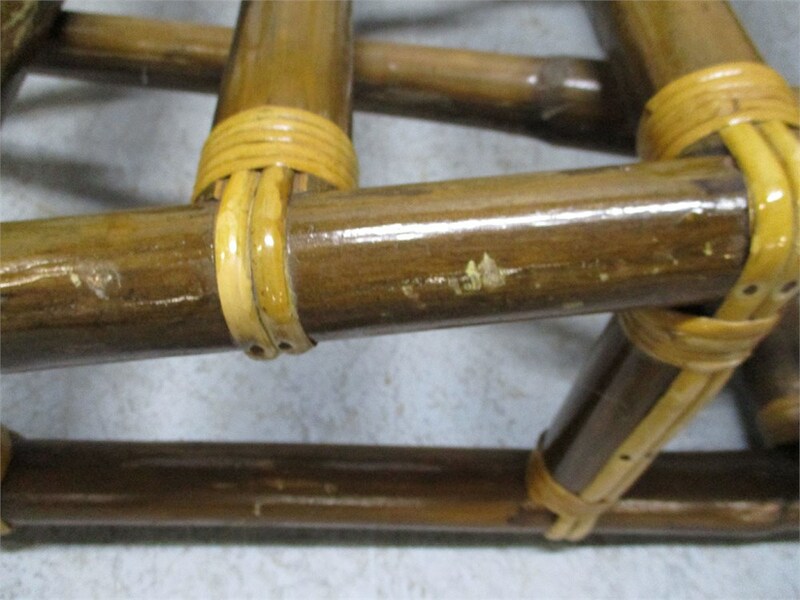 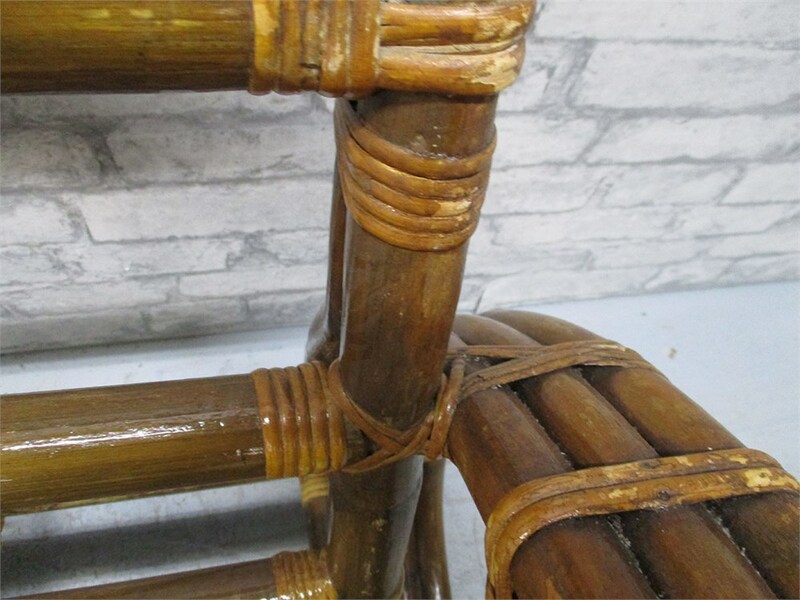 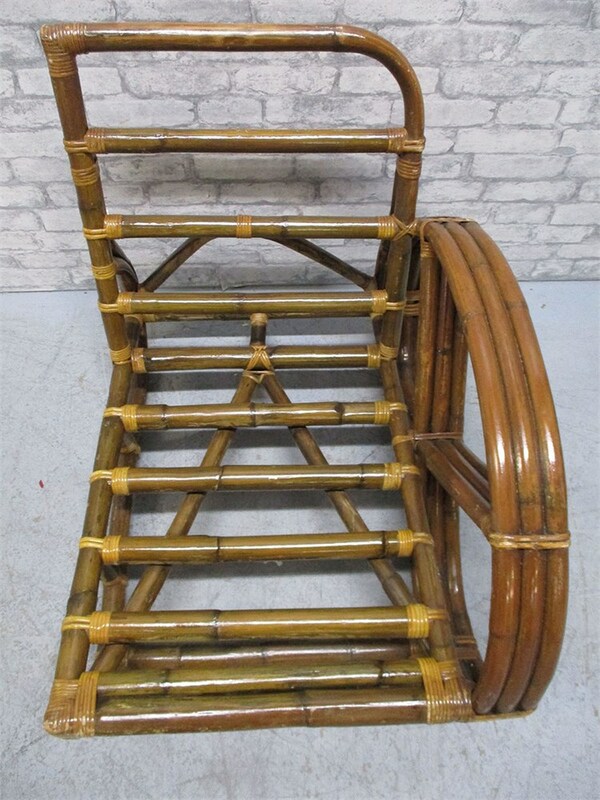 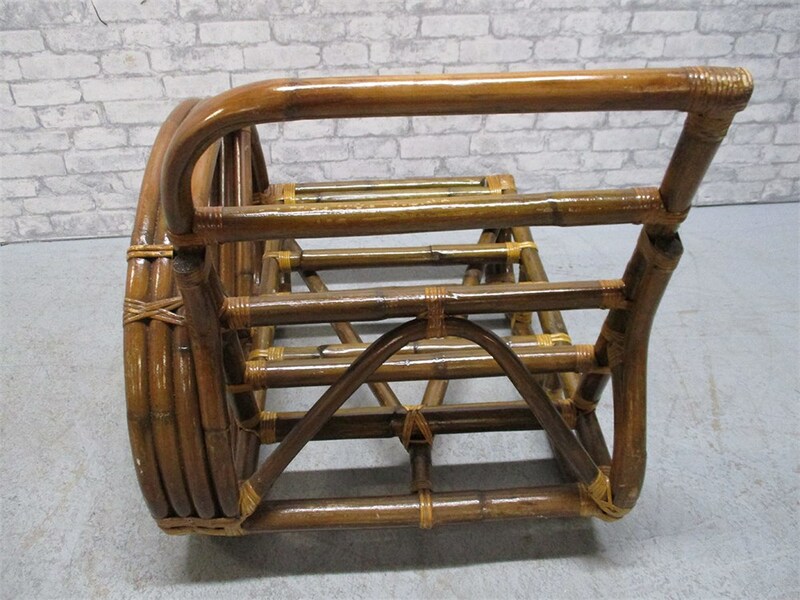 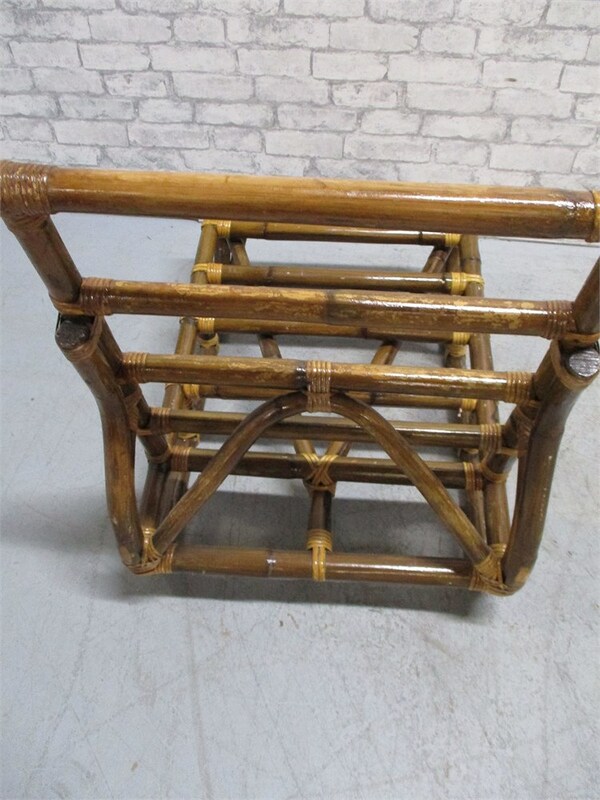 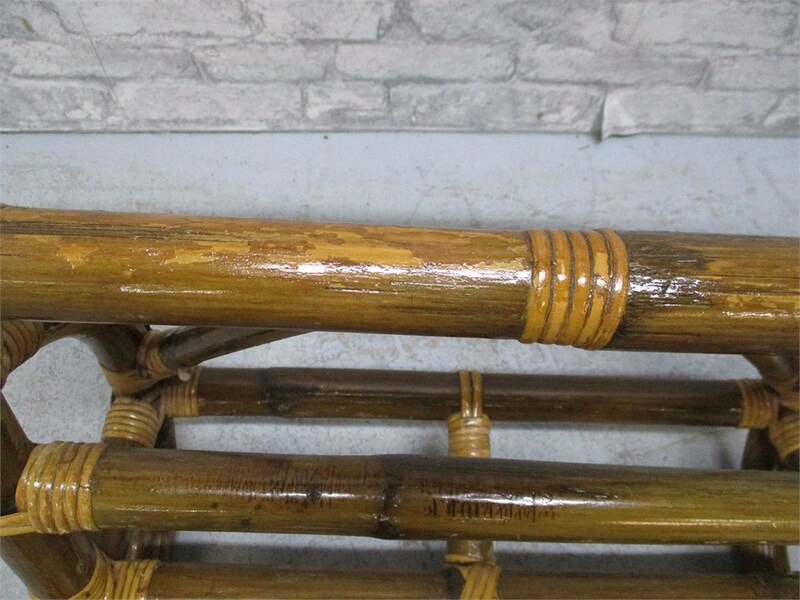 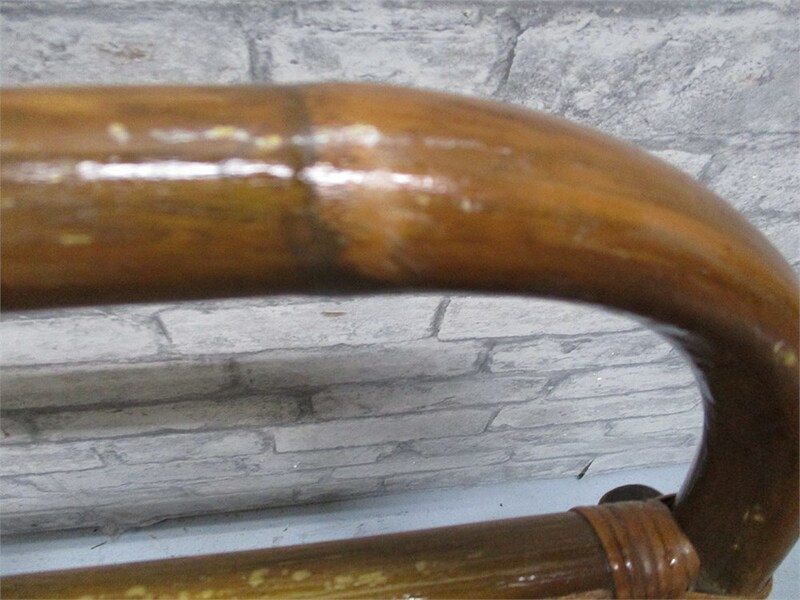 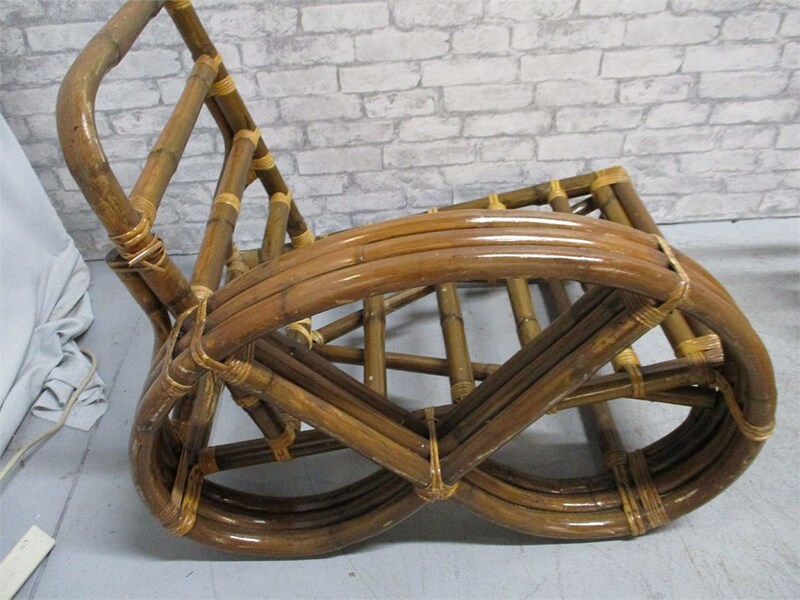 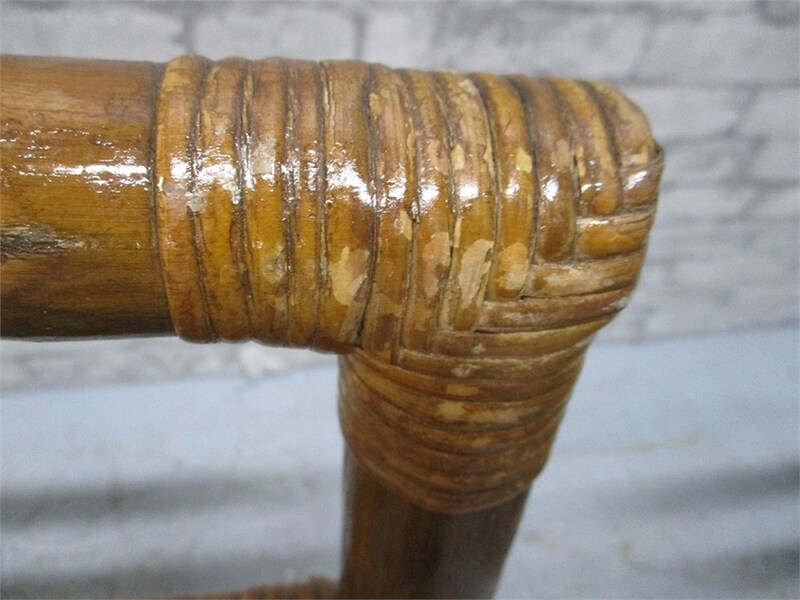 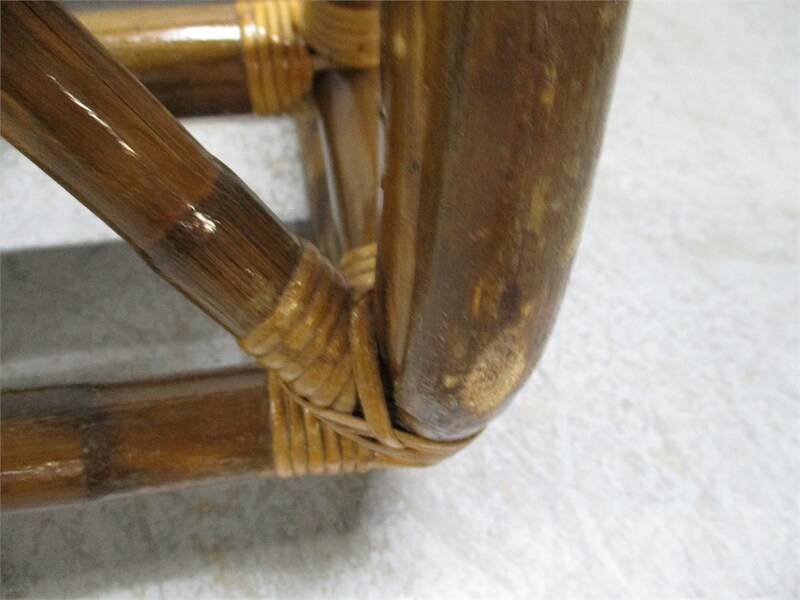 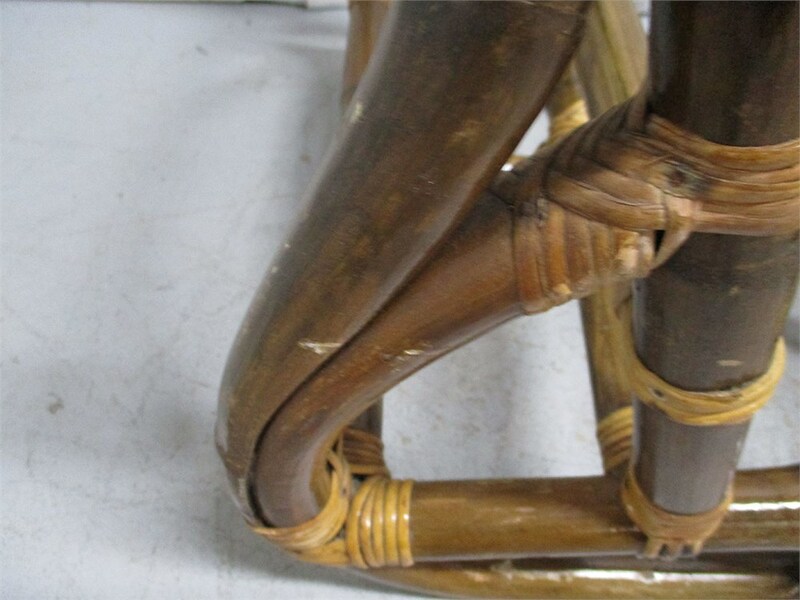 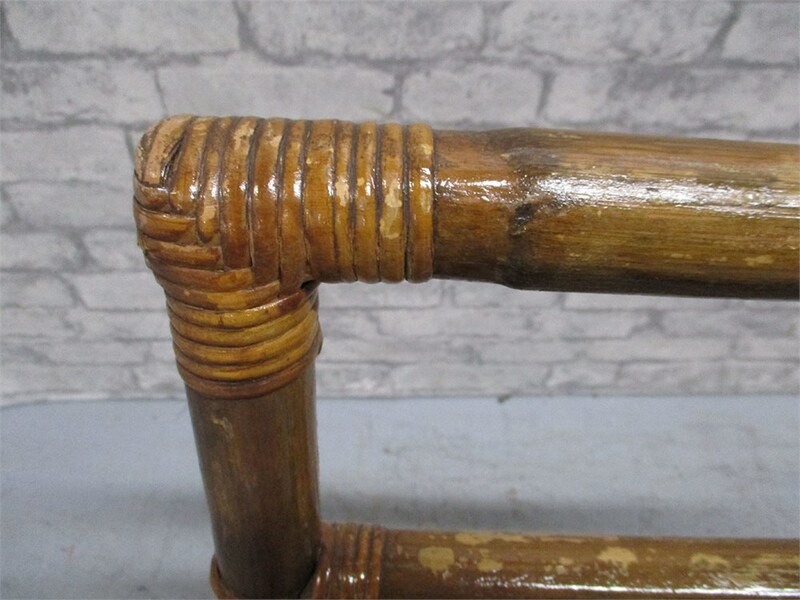 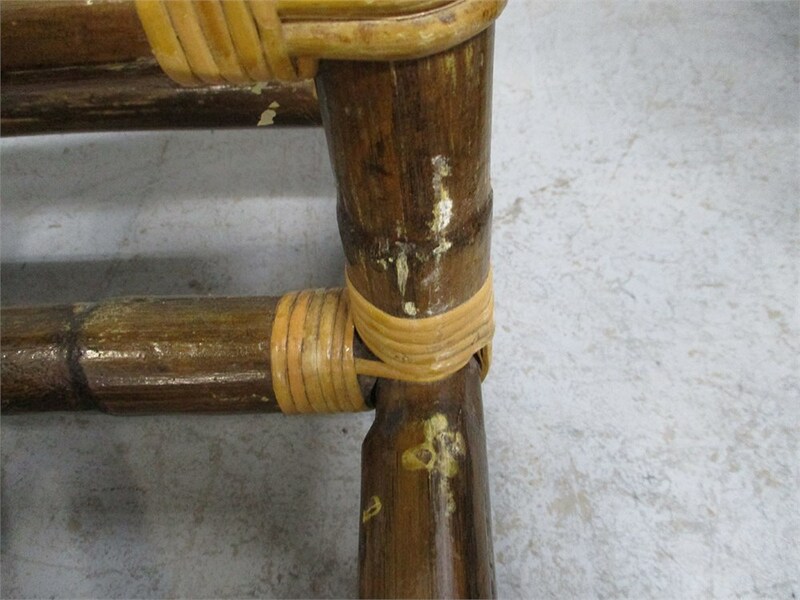 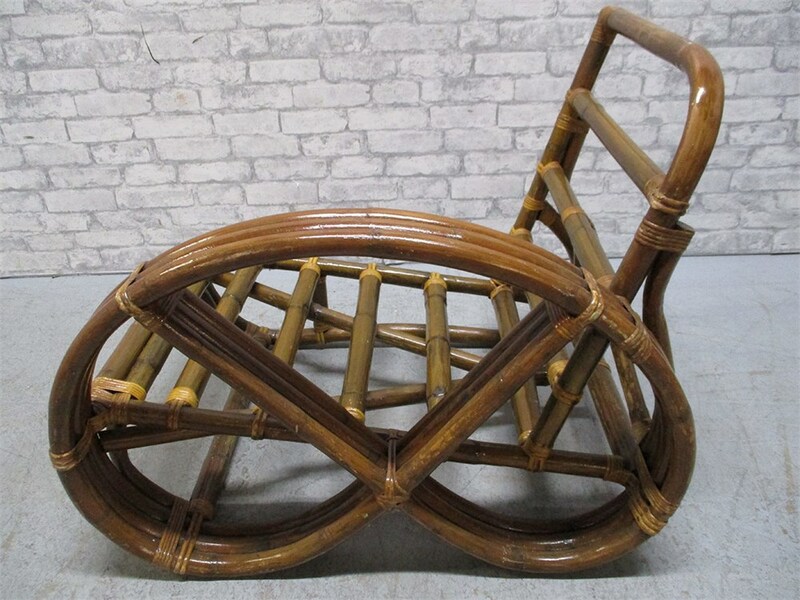 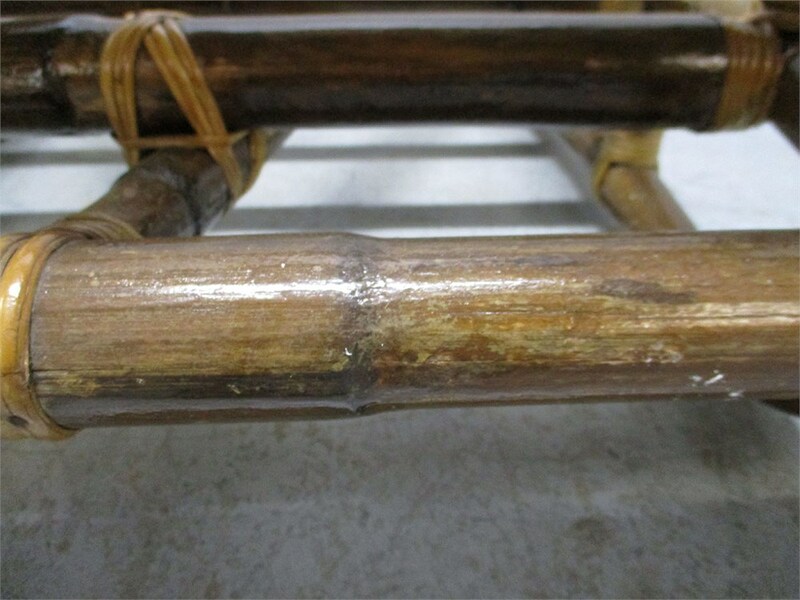 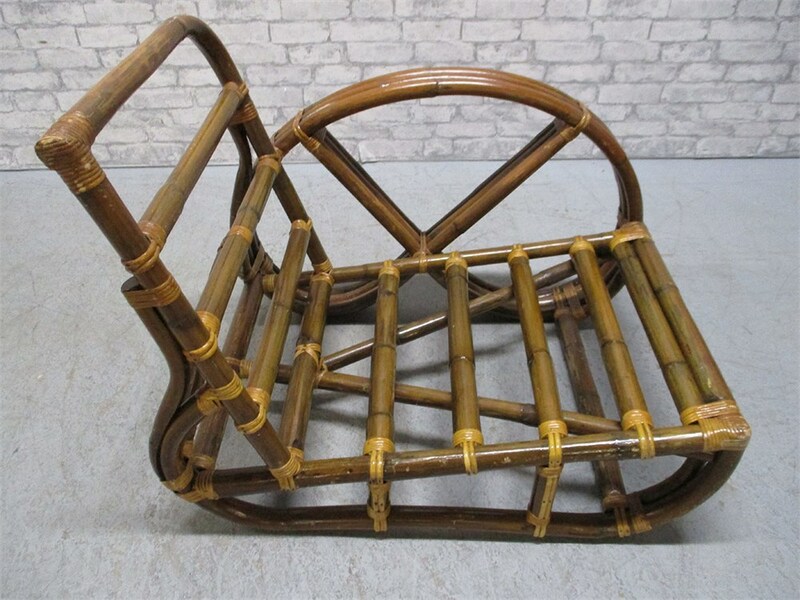 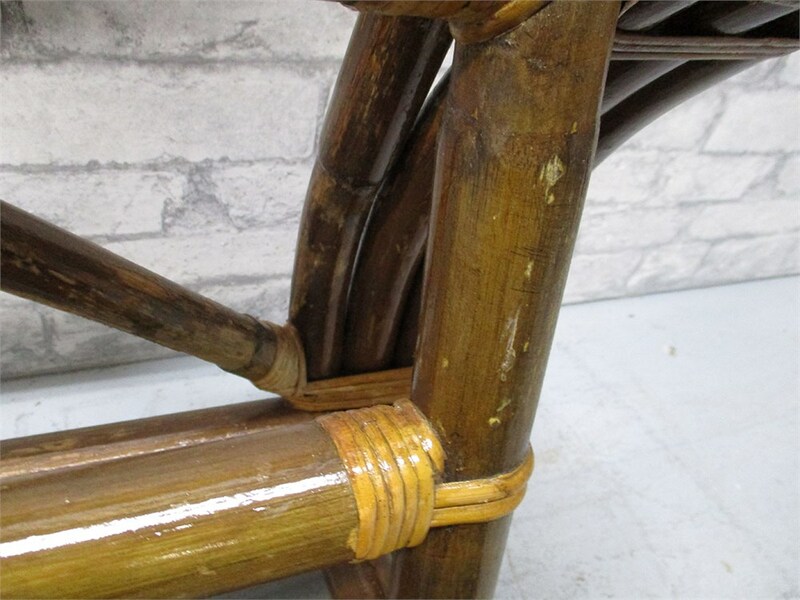 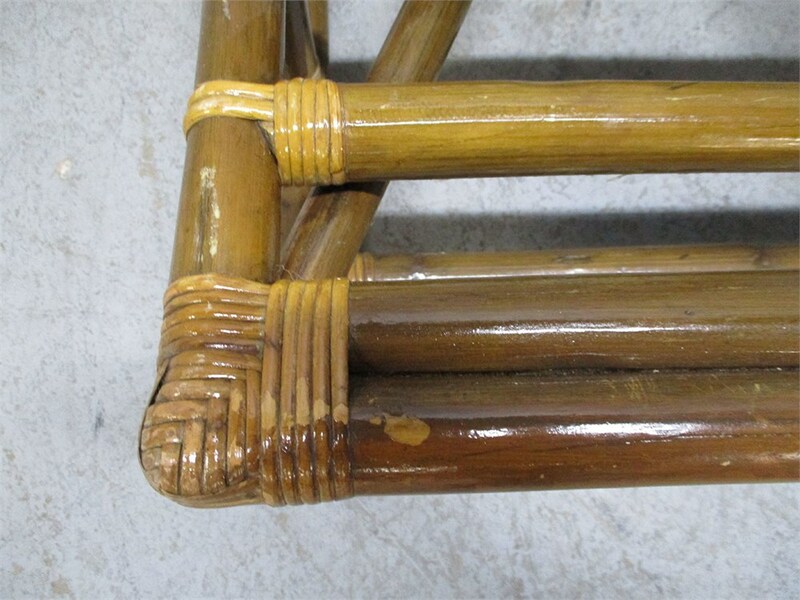 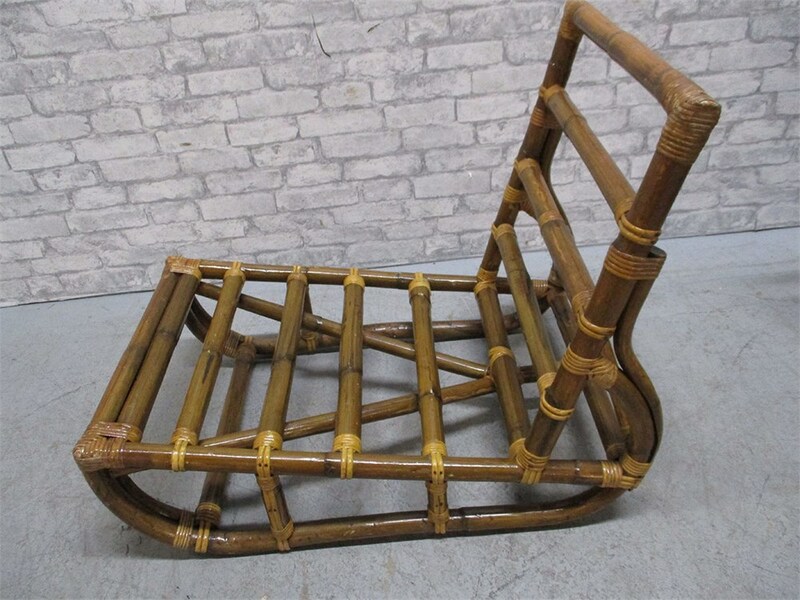 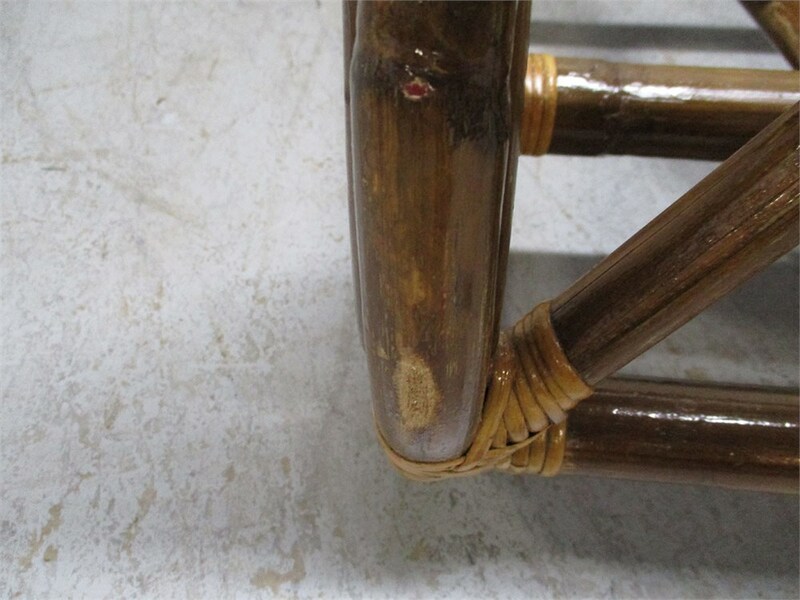 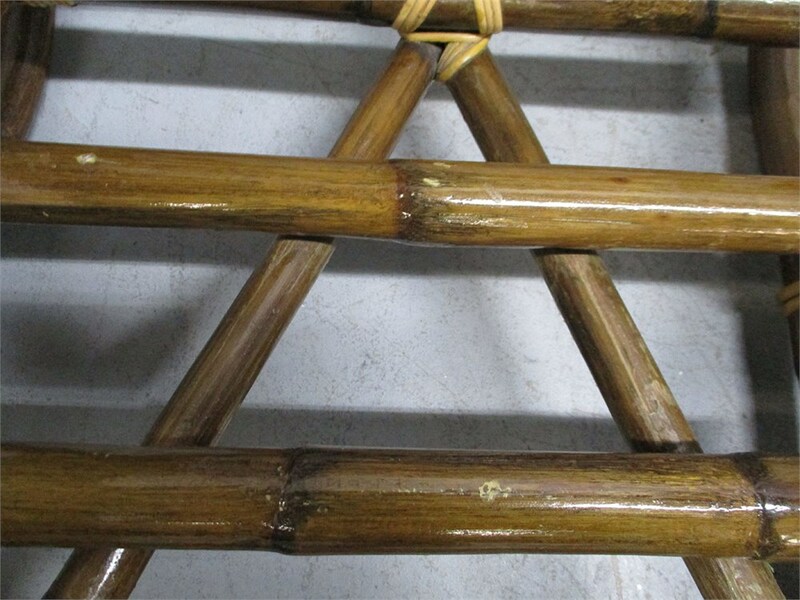 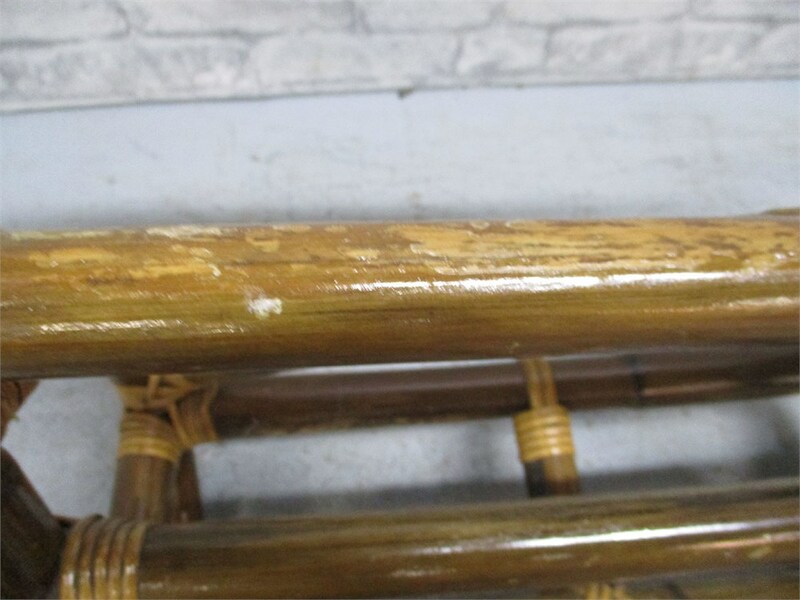 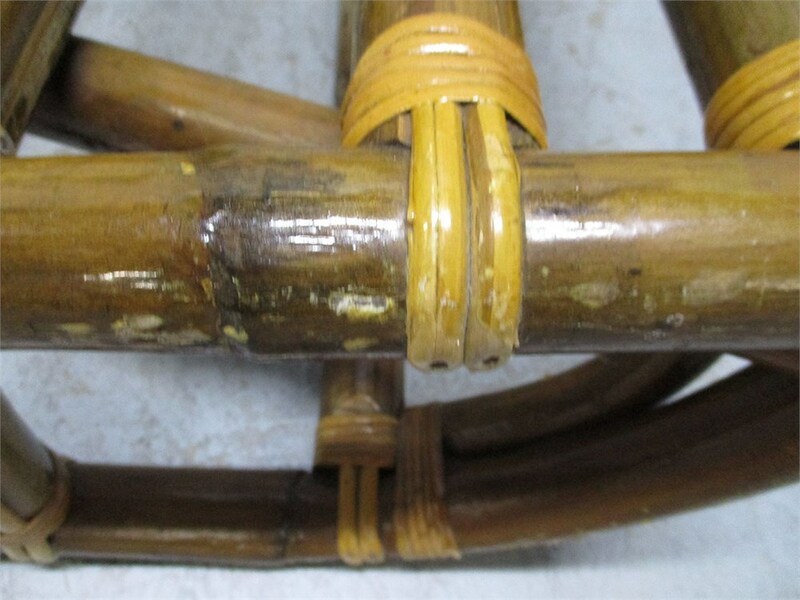 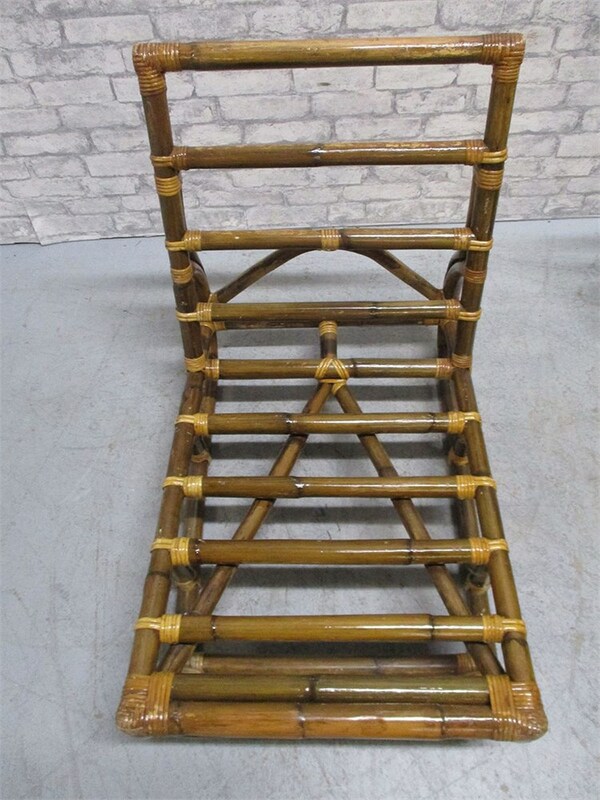 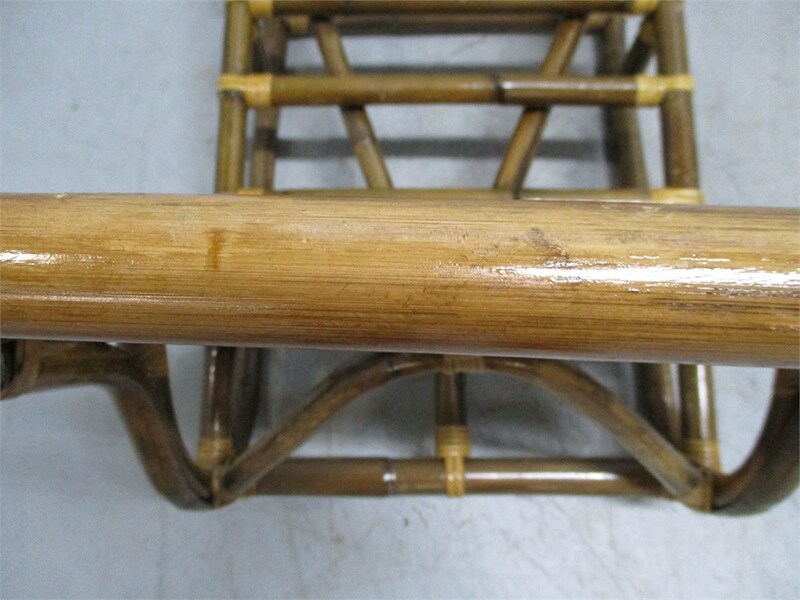 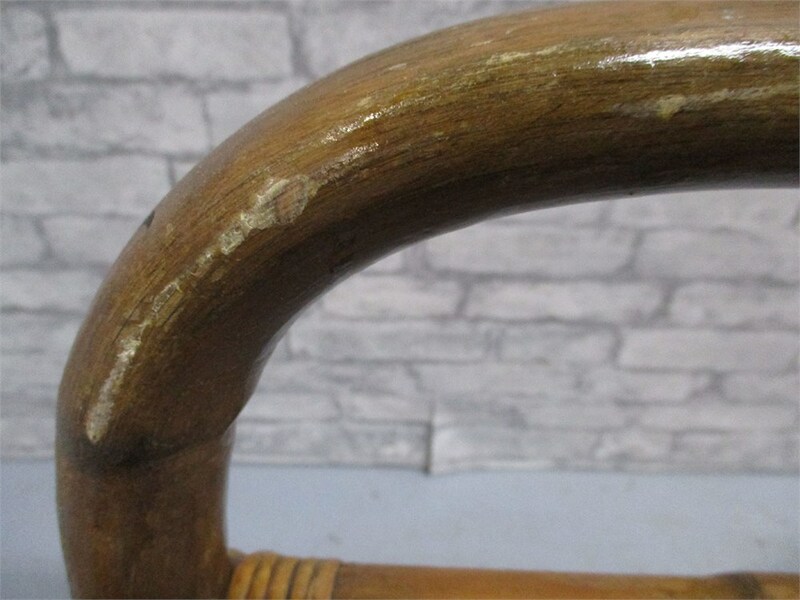 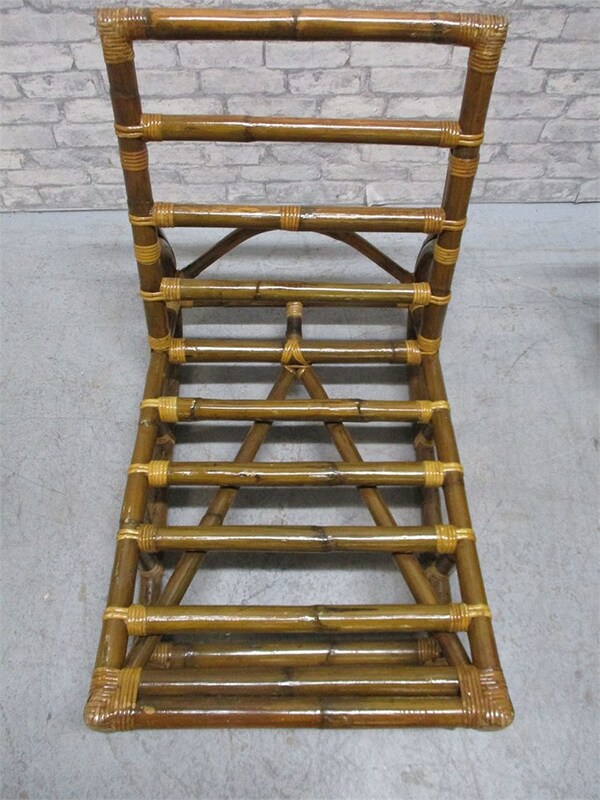 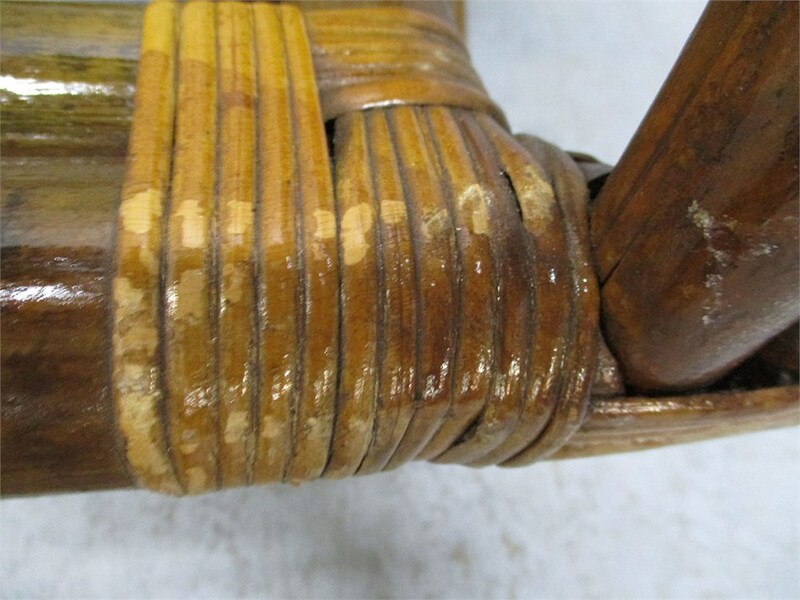 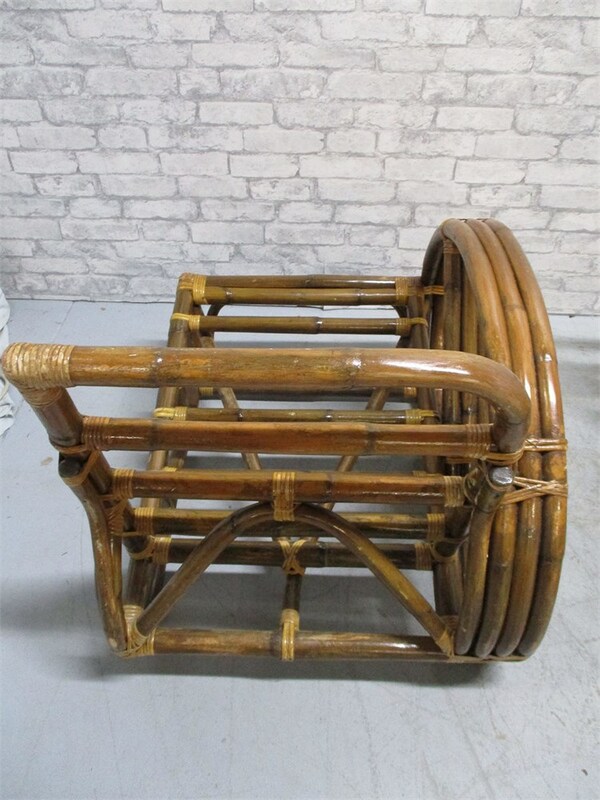 Check out more rattan at Lots 15, 51, and 125.